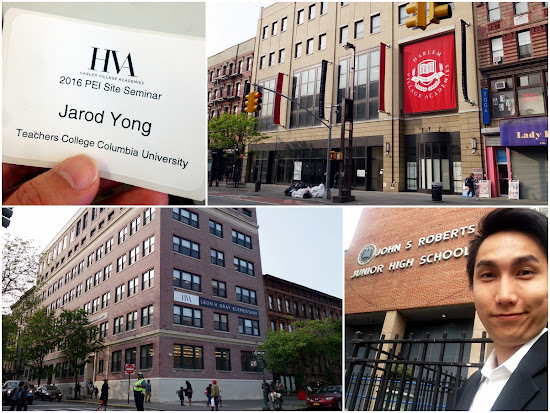 This week, I was a privileged 1 of 13 selected education grad students, from Berkeley, Columbia, Harvard, Penn, & Stanford, to attend a mini conference organised by the Progressive Education Institute (PEI) of Harlem Village Academies (HVA). We had the opportunity to visit 3 HVA charter schools, & hear from their teachers & academic directors: HVA East Elementary, HVA West Elementary, & HVA West Middle. Here's what I learned. Firstly, I'm very impressed with what HVA is doing. They serve predominantly minority groups in, traditionally, the lowest performing neighborhoods of New York City. In the US, high school drop out rates are high for minorities. I'm impressed that 95% of their students graduate high school. They've also got a 92% college enrollment rate. However, high college enrollment rates should not be conflated with graduation rates. HVA was founded in 2001 & their first senior class graduated high school in 2011. Therefore, we'd probably have to wait until 2017 to see whether they have set the foundation right for their students to succeed academically in higher ed. Also, there are no statistics on Cohort graduation rates: the number of students who come in at kindergarten & graduate as seniors of high school. I do wish that they'd provided more details in the data shared on their website. Meet Deborah Kenny, founder of HVA & widely regarded as one of the most influential education leaders in the US. In the 7 years I've spent as an educator, I've seen good leaders build up "bad" schools & I've seen bad leaders ruin "good" schools. During the Site Seminar, we were presented with the best of HVA & I left with a good impression. HVA's CEO, Deborah Kenny, has some interesting thoughts on education: Want to Ruin Teaching? 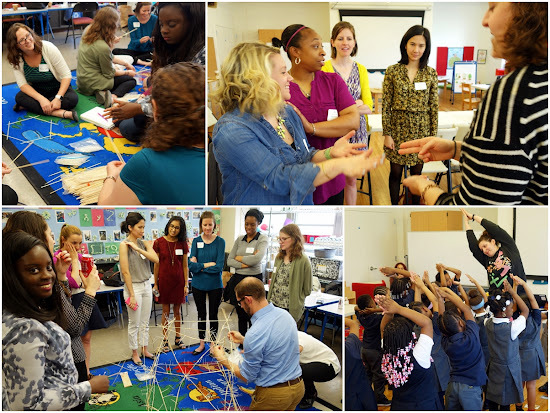 Give Ratings, The right curriculum for kindergarten: Play, & A Teacher Quality Manifesto. However, she has received criticism for being the highest paid charter school executive in NY & being disconnected with the day-to-day at her schools. Nonetheless, I think that she is a great CEO; She is magical at raising funds & building PR for the network. She hires people who are smarter than her to do what she can't. It's not possible for me to say what kind of leader she is or what kind of schools she has until I walk a mile in the shoes of her teachers. From what I could tell through the narrow lens of the Site Seminars, the school is wholeheartedly trying to move in the direction of progressive education & they are starting at the foundation of the network: kindergarten & elementary. In Malaysia, we have many great leaders at our schools/districts/states/ministries. I had the privilege of being mentored by a few of them. For leaders, Deborah demonstrates that we should focus on what we do really well (PR/fundraising) & work with really smart people on what we don't do well (the day-to-day running of her schools). 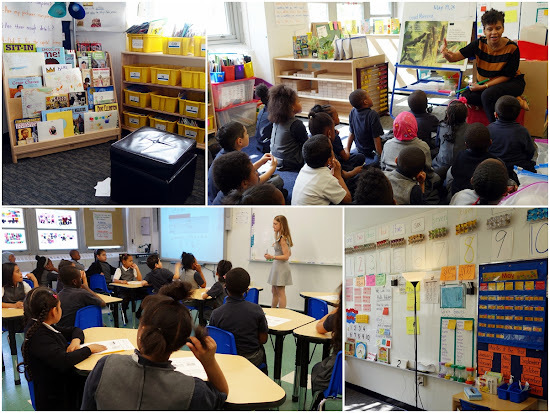 During the Site Seminar, we visited a few HVA classrooms & observed some of their master teachers. 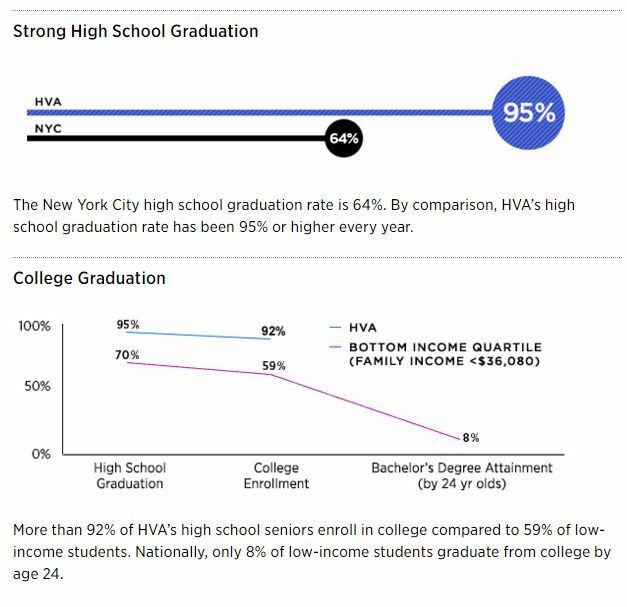 During the early days of HVA, they modeled themselves after top-performing schools in the country; All of which involved really rigid, streamlined, & teacher-centered methods of schooling. It worked wonderfully at producing what was measured: behaviour was impeccable, everything was orderly, & objectives were reached. However, they soon found out that they were producing low-level thinking & students had trouble coping out in the real world. Thus, they abandoned their role-models, & started to explore a model of their own: a model of what good teaching really is, a progressive education model. They made a lot of mistakes & they are still working on it today. I can describe all the details of their individual techniques/methods but you'd likely be able to come up with the same by understanding their core values: Progressive Education = giving students voice, involving students in the problem solving process of thinking about what makes sense. With regards to student behaviour, instead of managing a complex discipline system of rules & consequences which students have to comply with & teachers have to enforce, they are managing their students' behaviours by creating a culture at the school which embodies all of the values that they wish to see in their students. Then, culture, instead of punishment, persuades students to conform. There is a lot of student empowerment instead of the teacher being the judge, jury, & executioner. For example, they avoid punishment, suspensions, or expulsions because these don't resolve the underlying issues. Whenever there is conflict, 1) they will hear the student out, 2) counsel them & discuss things from different perspectives, 3) get them to own up for their wrongs, 4) let them decide how to adequately make amends. They also use language like "what do we do?" instead of "you must do this". Furthermore, they practice mindfulness with their students from kindergarten onwards. This helps students be more aware of their emotions & be better able to regulate their emotions. When I learned that, in Malaysia, the ministry of education will allow corporal punishment, I had mixed feelings. My hope is that schools will also experiment with alternative means of managing behaviour which ultimately leads the students to self-regulation instead of being extrinsically-regulated. 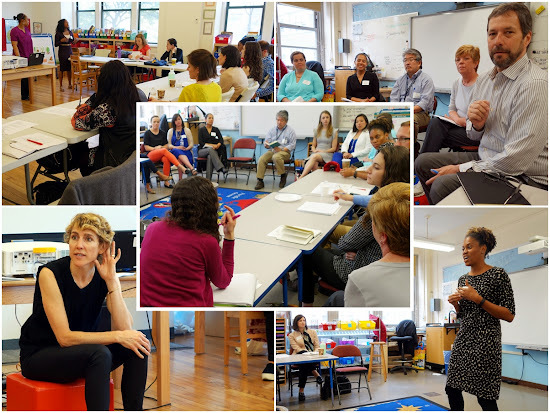 During the Site Seminar, HVA shared the insights they had on progressive education. 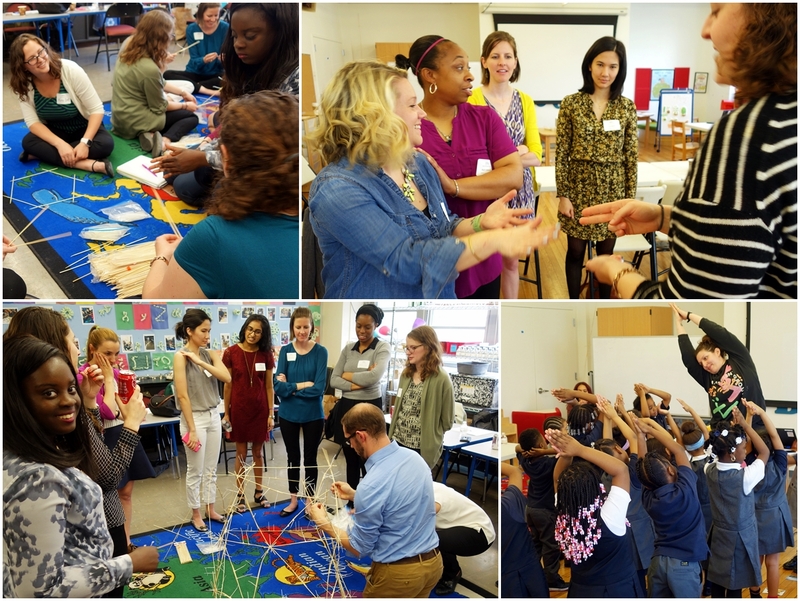 In 2014, the Progressive Education Network, a graduate school, was founded to address the question: what do novice teachers need to become master teachers? Their approach to teacher training is akin to a doctor's housemanship: observing master teachers & dissecting every part of the lesson. This Site Seminar, started in 2015, is one of the programs run by the PEI. Besides sharing their ideas, the seminars also function as a recruitment platform for the best teachers from the best colleges in the nation. Great recruits & professional development are not enough; They need to retain teachers & keep them happy & supported. Therefore, their strategy for teacher retention is focused on the principal's adult culture. A culture where teaching can be a lifelong career, every member of the staff can tap into their passion at school, teachers are involved in problem-solving, & teacher ideas are taken seriously. With regards to teachers, empowerment trumps buy-in. By building a healthy teacher culture, they are also developing their student culture. We also took part in some hands-on activities. I'm working on connecting classrooms in the HVA network with English language classrooms in Malaysia for the new academic year. My first thought was Skype video-calls. However, the 12 hour time difference is a significant barrier. Nonetheless, I've proposed a twist to the ol' pen-pal program: a video-pals program where classes exchange short videos on a regular basis as a cultural exchange project. The good news is, the people at HVA expressed strong interest in this idea but, ultimately, it's up to their teachers to decide, who are already burdened with hundreds of other programs, so we'll see how things go. Hopefully, by the 2016 Fall semester (beginning in August), we'll have our very first exchange! In conclusion, I've learned a lot from the PIE Site Seminar at HVA. This was my first ever glimpse of what is happening in a school in the US & I'm glad that it was with HVA. They're on the way to great things. I'm looking forward to maintaining a relationship with them &, hopefully, collaborating! See the pictures & more details from the Site Seminars!